Lock in a great price for Xixerella Park Bungalows – rated 8.5 by recent guests! 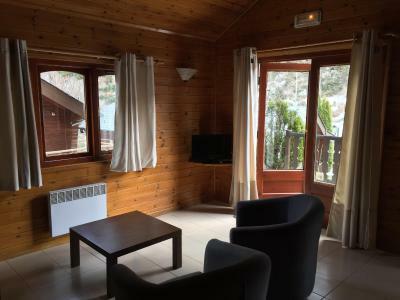 El trato del personal increíble, las vistas espercyaculares, la ubicación perfecta, un bungalows precioso con todos los utensilios necesarios... Una estancia inolvidable que repetiremos seguro. Muy buena ubicación, muy cerca de la pista de esquí PAL. 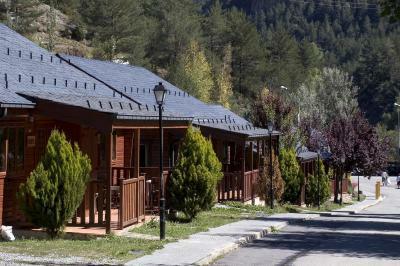 Los bungalows son muy acogedores, calefacción, la cocina tiene de todo, los alrededores son preciosos, puedes dejar el coche justo al lado. Una experiencia muy recomendable, cerca de la montaña, donde puedes disfrutar de las vistas. Главное сокровище этого комплекса - персонал!!! У меня было ощущение, что я приехала в гости к своей тёте или бабушке! С 8 утра работает кафе и можно прекрасно позавтракать. Также возможно заказывать каждый день свежий хлеб и булочки: заказываете до 8 вечера и утром забираете. Хорошая сауна плюс 2 джакузи. Летом работает бассейн. Уверенный сигнал wi-fi на всей территории комплекса. Милый ресторанчик, который открывается на обед и ужин. Симпатичные деревянные домики. Если нужен ресторан для серьёзных обедов и ужинов, то напротив комплекса через дорогу он есть. С прекрасной каталонской и Кастильской кухней. Есть минигольф и детская площадка. 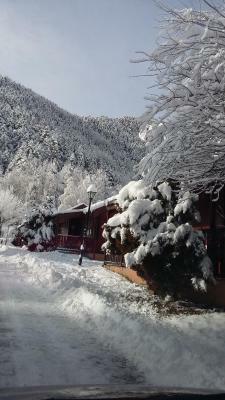 До подъёмников Pal и Arinsal 5 минут на машине. , la cocina totalmente equipada, la habitación muy amplia, calentito tuvimos que bajar incluso la calefacción. 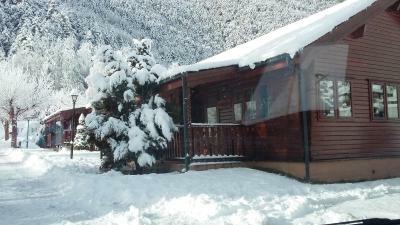 Xixerella Park Bungalows are located in La Massana Valley, 1.9 mi from Arinsal Ski Resort. 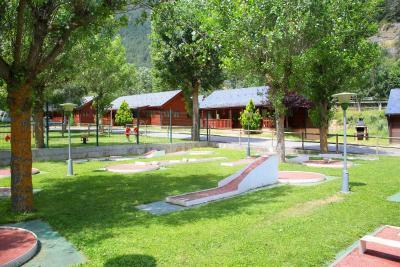 The complex offers a free Wi-Fi zone and wooden bungalows with terraces and BBQ facilities. Each well-equipped bungalow has a kitchenette with a microwave, oven and fridge. 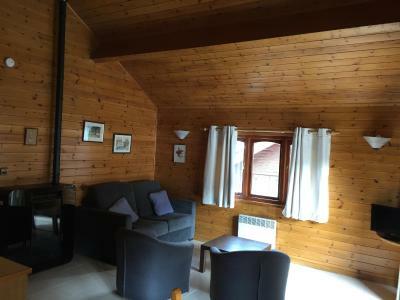 All bungalows have a seating area with a TV, electric heating and a private bathroom. Bed linen is provided. 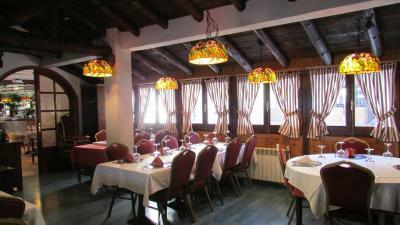 Guests can enjoy meals from the set menu at the Xixerella's La Torrada restaurant. 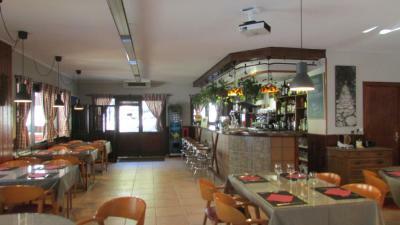 The complex also has a café-bar and a mini-supermarket. 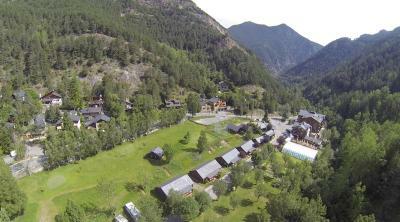 Local activities include cycling, hiking and skiing. 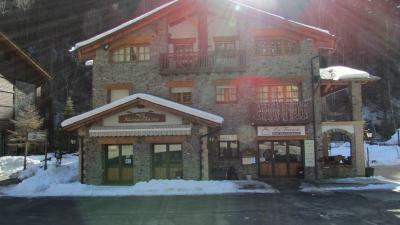 The elevator to La Massana Ski Resort is a 5-minute drive away, while Andorra La Vella is 3.7 mi from Xixerella. When would you like to stay at Xixerella Park Bungalows? This bungalow features 1 bedroom, a private bathroom and a living-dining area with a sofa bed and kitchenette. Bed linen is provided. The bungalow also has a parking space for 1 car and access to a terrace with shared BBQ facilities. This split-level bungalow features 1 bedroom, a private bathroom and a living-dining area with a TV and kitchenette. There is also an upper level with 2 single beds. Bed linen is provided. The bungalow also has a parking space for 1 car and access to a terrace with a BBQ. 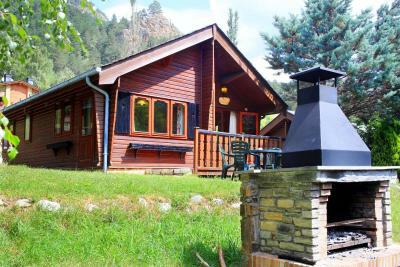 This bungalow features a private bathroom and an open-plan sleeping and living area with a sofa bed and kitchenette. The bathroom comes with shower, and bed linen is provided. There is a parking space next to the bungalow. This bungalow features a oven, barbecue and kitchenware. House Rules Xixerella Park Bungalows takes special requests – add in the next step! Xixerella Park Bungalows accepts these cards and reserves the right to temporarily hold an amount prior to arrival. Please note that use of the spa facilities comes at an extra cost and must be reserved in advance at reception. The spa is open from 17:00 until 20:00. Please inform Xixerella Park Bungalows of your expected arrival time in advance. You can use the Special Requests box when booking, or contact the property directly using the contact details in your confirmation. The chalets allowed noise from next door, could be better insulated.